Tait Farm has garden seeds (spring!) and a workshop on making tricked-out mac and cheese, the Susquehanna Heartland Wine Trail month to kick off, and learn how to make beer, all in this week’s Local Food Notes. - Bump up your mac-and-cheese game at Tait Farm Foods Saturday from 2:00-4:00 p.m., when local chef Dave Zoller will demonstrate new ways to create that classic dish, macaroni and cheese. Be prepared to be surprised, and samples will be offered. - Also at Tait Farm, garden seeds and organic potting soil to start them in are now available. You can start stuff that’s 8-10 weeks out from last frost now in many areas in central Pennsylvania, so worth a trip to check out what they have. 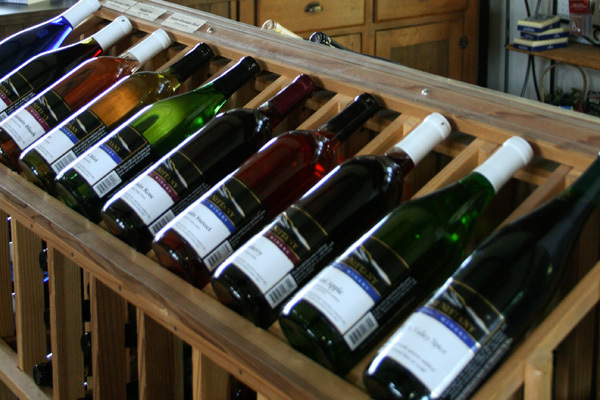 - March is Susquehanna Heartland Wine Trail time. Throughout the month of March, you can check out wineries roughly in the area from State College to near Harrisburg to Lewisberg, 15 in all. Taste wines, enjoy tasty accompaniments, and maybe even win prizes. Tickets can be found at the Wine Trail web site. - Spring Creek Homesteading is holding a beer making workshop. In this workshop, instructor Josh Lambert will provide an overview the art and science of brewing, discuss the equipment and supplies needed to brew beer from malt extract, and lead a hands-on brewing session to make five gallons of ale. The workshop runs from 10:00 a.m. to 1:00 p.m. on Feb. 28, and more information can be found here.